I have been busy looking for our videocam. Since I can't find myself, I asked my hubby to look for it. It's been a while since the last time I used it. I have been so busy lately that I haven't taken any videos of our little princess. Luckily, when he went to the basement earlier this week, he found it. I was so happy because I'm in the mood to take some videos of Rachel. She knows a lot of songs and it's really nice to have them recorded for the future and also I'm planning to send my mom and dad some videos of Rachel singing. 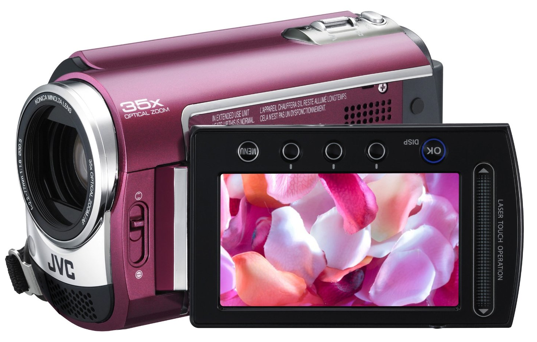 We bought this one a couple of years ago because we want to have a video camera of Rachel's adventures and other memorable events in our life. We recorded a lot of cool videos last year that we haven't download yet. I don't know how many more hours we can take without downloading what we already have on the camera. Just to make sure and be safe, I will download them later this week if I'm not very busy. For now, I will charge it so I can start taking videos of our little princess again starting tomorrow.